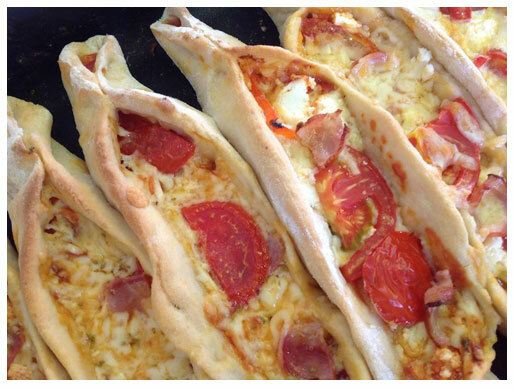 "Breakfast like a King, Lunch like a Prince & Dine like a Pauper "
Greeks are known to enjoy tasty healthy breakfast menu! Did you know that Breakfast provides the body & brain with fuel after an overnight fast - that's where its name originates, breaking the fast! Without breakfast everybody are effectively running on empty, like trying to start the car with no petrol! 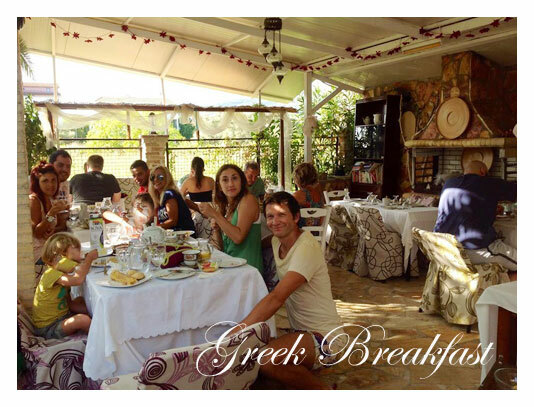 Don’t miss the unforgettable Greek Breakfast Experience in Villa Olga in Lefkada. These basic characteristics of the Mediterranean diet (high intake of fruits, vegetables & unsaturated fat), protect, among others, and skin from the signs of aging, ie wrinkles. Based on the above, our breakfast is part of a separate philosophy offering a new gastronomic proposal, that of "Greek breakfast." 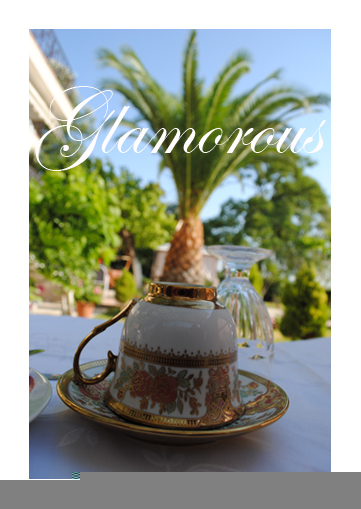 If you want to impress your beloved one, we can arrange the perfect romantic dinner. Making your own orders of food or get our valuable suggestions for an impressive meal. Prices depend on the meal requested and is arranged in advance. 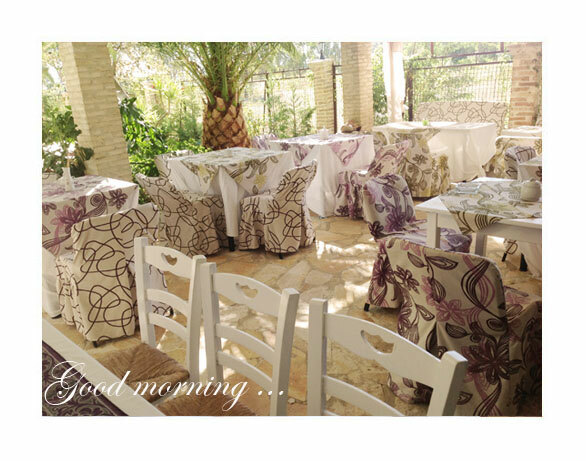 Surrounded by the natural environment of beautiful flowers in our magical candle-lit garden you can enjoy a big choice of exceptional wine together with a delicious dinner prepared to cater to your needs. A big impressive birthday cake can impress your family or friends. A nice birthday party to make your holidays exceptional. Like to explore new cuisines and try a real Greek Lefkada's Dinner? Our love for our Greek Mediterranean diet led to create the Alternative Lefkada Cooking Classes & Events. Join eat & cook’s unique hands-on cooking classes in Lefkada island and discover the secrets of our traditional cuisine. Learn about the treasures of this region’s cooking style using local fresh organic vegetables, herbals, yogurt, meat, fruits and olive oil of the Greek land. Welcome People of all ages and skill levels.